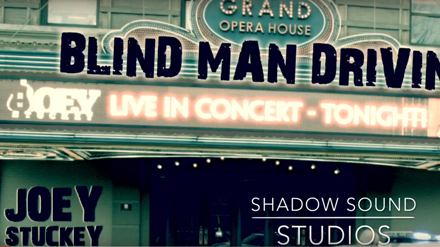 Click here to pre-order Joey's latest album "In The Shadow Of The Sun" on iTunes or Amazon Music. 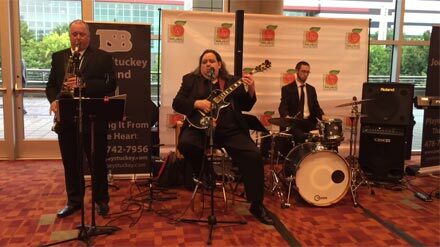 Annual "Joshua's Wish Evening of Jazz"
Official Joey Stuckey Trio Lyric Video for "Ain't It Good To Be In Love"
Official Joey Stuckey Trio Lyric Video for "Trouble Comes In Threes"
A playlist with 7 videos. A playlist with 4 videos. A playlist with 10 videos. A playlist with 9 videos. A playlist with 13 videos. A playlist with 6 videos. A playlist with 3 videos. A playlist with 11 videos. 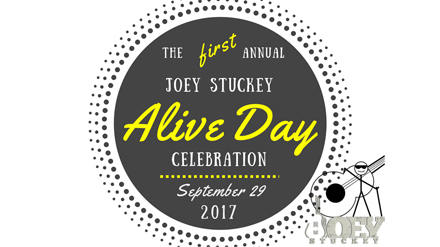 Joey Stuckey's 1st Annual 'Alive Day' (2017)! A playlist with 31 videos. 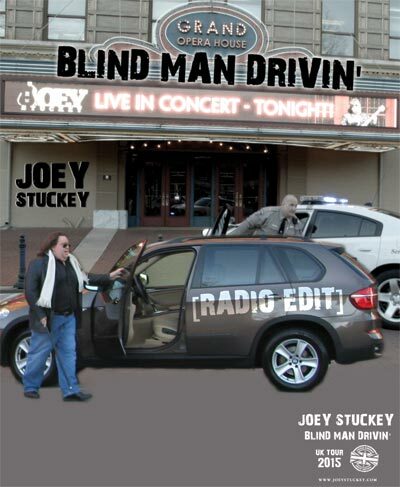 Joey Stuckey is an award-winning blind guitarist, songwriter, singer, composer, producer, radio and television personality, music columnist, educator and sound engineer. 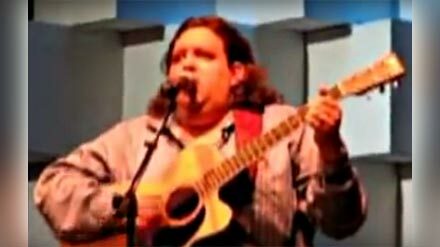 He is also the official music ambassador for his home town of Macon Georgia. 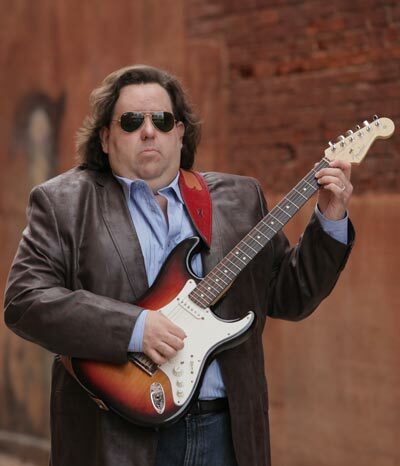 Joey's guitar style is reminiscent of rocker Jeff Beck and jazzer Wes Montgomery, while his vocal influences range from Mel Torme to Gregg Allman. 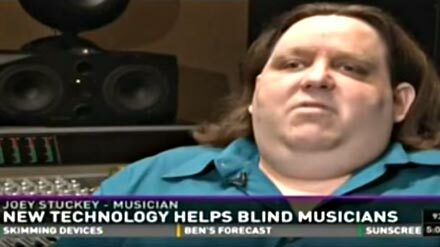 As an infant, Joey lost his sight and sense of smell as the result of a brain tumor and was introduced to music from an early age. His mother enjoyed opera, while his dad enjoyed country music. When he was 13, Stuckey developed pneumonia and eventually had to be home schooled for an entire year. 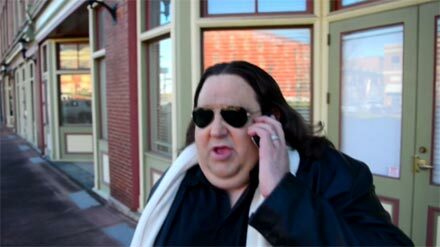 "I lived for my shows on Saturdays," says Joey. "I was a huge fan of public radio and on Saturdays, I listened to a show called, 'After Space.' It was DJ'd and produced by a guy called Rob Thomas (who eventually became a good friend and is still a great friend today). He would play radio shows like, 'The Lone Ranger,' 'The Shadow,' and other classic shows. 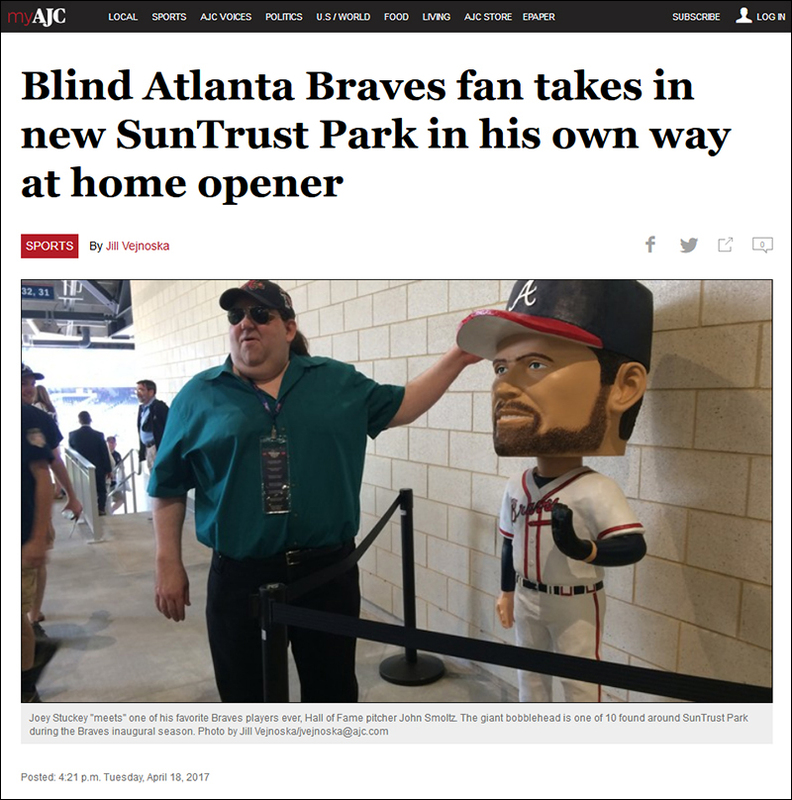 I was so enamored with these stories - the sound effects and narration broadcast in a format accessible for the blind were just amazing." The show was produced so eloquently, Joey decided that sound production was what he wanted to do with his life. What began as a simple statement turned into a life-long passion. After that evolutionary period in his life, Joey bought all kinds of sound equipment and was soon recording sessions in his house with various garage bands. He was amazed at the writing ability from the many musicians he came across. "I realized, at that point, that there were things I wanted to share with the world," says Stuckey. "And I knew that the medium for that was music." 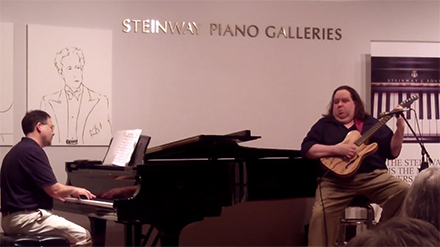 Without missing a beat, Joey graduated from high school at the age of 14 and at 17, began his musical career by taking classical guitar lessons from noted music professor Terry Cantwell. Joey went on to attend Mercer University. He furthered his musical education by studying with renowned jazz guitarist Stanley Jordan and later, with Professor Steven Crowell. Despite his physical limitations, Joey has flourished in every aspect of his life. He released several albums, including 'Take A Walk In The Shadows' (1995), 'Ironies, Pain And The Light That Guides' (1999), 'Live And Stuff,' (2000), 'Live And More Stuff,' (2001), 'So Far,' (2003), 'Oceanside,' (2009), 'The Shadow Sound,' (2011), 'Mixture' (2012) and 'The Acoustic Sessions, Volume I' (2014). Joey experienced national success with the launch of 'Mixture,' which reached #9 on the CMJ Top 40 Jazz Charts for North America. 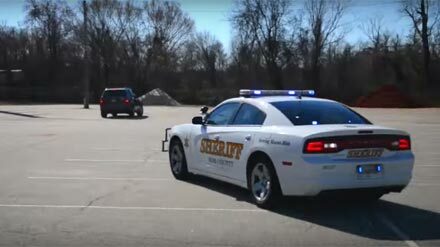 In 2002, Joey met his wife, Jennifer, who works as a certified nurse midwife in Macon. 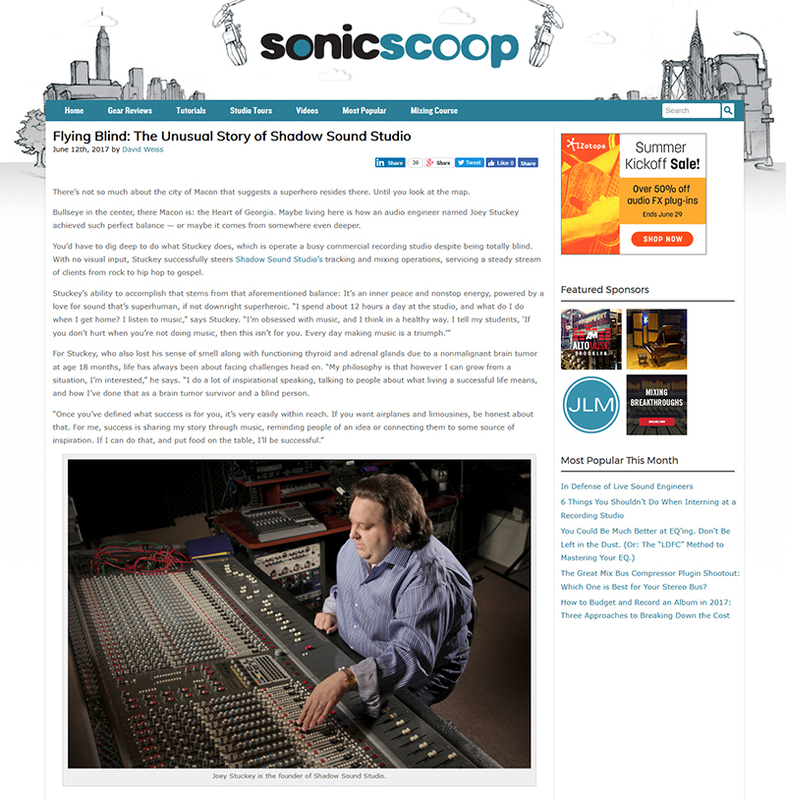 He is also the owner and sound engineer of a recording facility, Shadow Sound Studio in Macon, which boasts vintage analog gear and state-of-the-art digital technology. Joey enjoys promoting music in various ways. 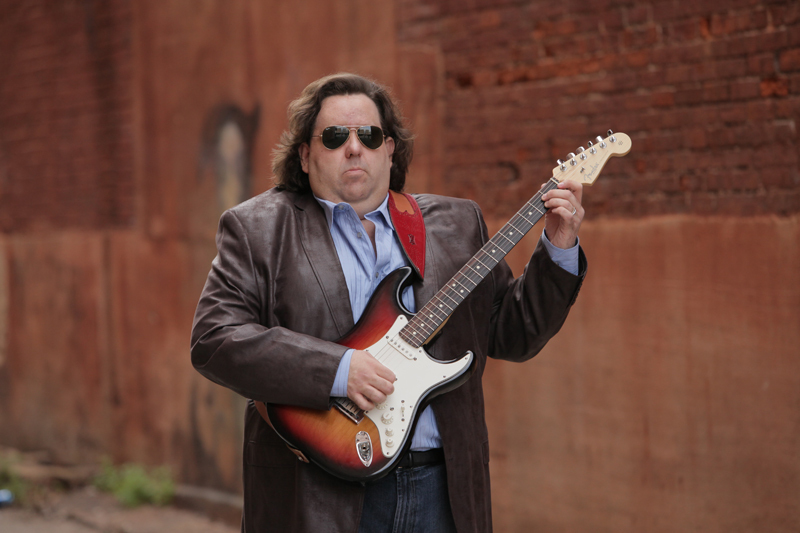 He is a featured music columnist for the webzine 'Portal Magazine' and contributes regularly to a music blog on 'Gateway Macon,' where he writes about the history of music in Macon and other music-related topics. 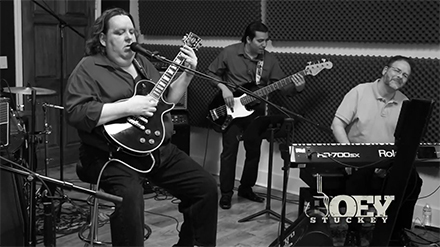 Joey is currently involved with students, instructing them on guitar, voice, music theory, and sound engineering. 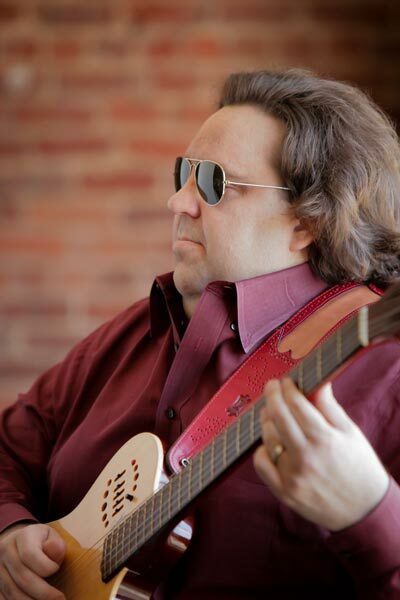 He is the professor of Music Technology at Mercer University and an official mentor for the Recording Connections School in Los Angeles. 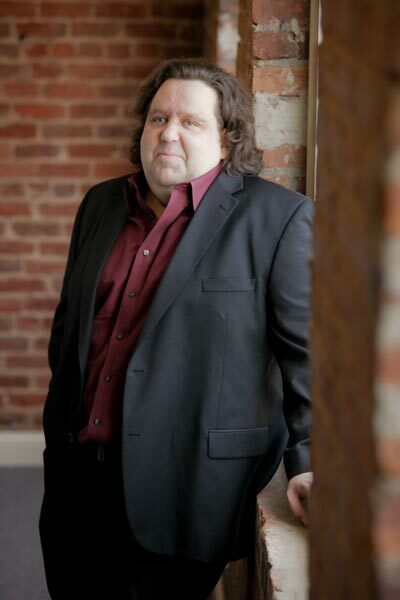 No stranger to musical theater, he was the music director for Macon State College's production of 'The Rocky Horror Show' in the fall of 2002. 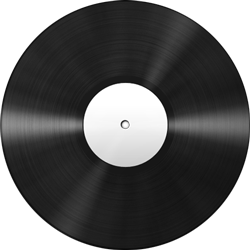 Recently, Joey has taken on the role of music publisher and has a growing catalog of great songs in multiple genres. His publishing companies include Sociology Publishing (BMI) and Sign Wave Publishing (ASCAP). 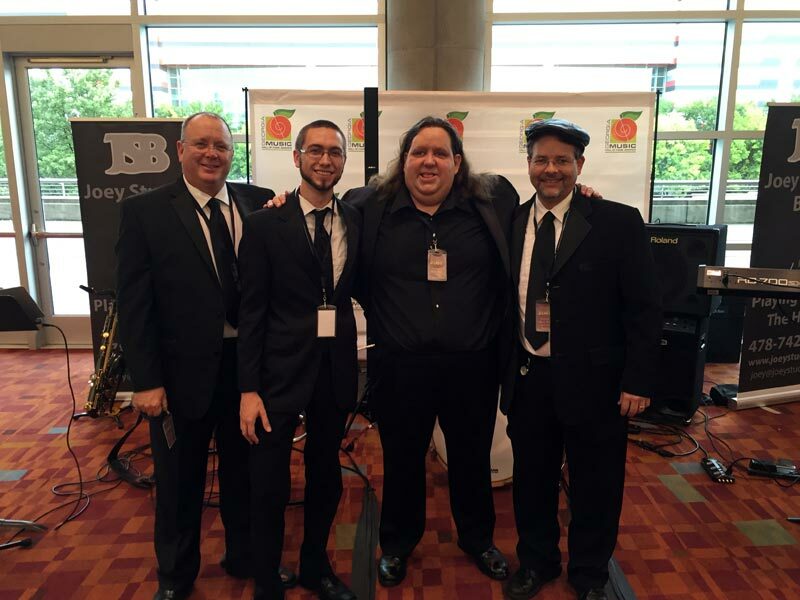 Joey and his band, The Joey Stuckey Band, perform nationally. 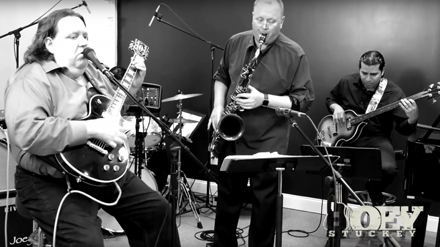 They have opened for legendary artists such as TED NUGENT, BAD COMPANY, TRISHA YEARWOOD, JAMES BROWN, CLARENCE CARTER, WET WILLIE, THE B-52'S, KEVIN KINNEY FROM DRIVIN' N CRYIN, and SMASHMOUTH. 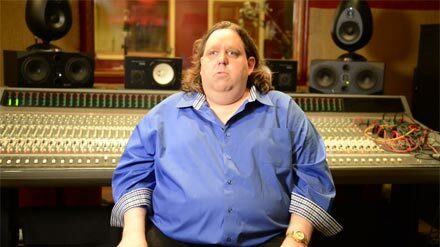 In his other roles as either producer, composer, music columnist, and sound engineer or hired musician, Joey has worked with musical greats including GEORGE THOROGOOD, ALAN PARSONS (PINK FLOYD, THE ALAN PARSONS PROJECT), ROSS HOGARTH (PRODUCER FOR VAN HALEN, JOHN MELLENCAMP, BONNIE RAITT), BILLY DUFF (THE CULT), JOE SOLO (PRODUCER FOR MACY GRAY), DANNY SERAPHINE (CHICAGO), BEN TUCKER (HERBIE MANN), DAVID RAGSDALE (KANSAS, SMASHING PUMPKINS), ALLEN VIZZUTTI (CHICK COREA BAND), SAMMY NESTICO (COUNT BASIE ORCHESTRA), DAVID BERGER (ARRANGER AND CONDUCTOR FOR JAZZ AT LINCOLN CENTER, ARRANGER FOR NATALIE COLE, ROSEMARY CLOONEY, MADELEINE PEYROUX AND CECILE MCLORIN SALEANT), SHANNON FOREST (TOTO, TAYLOR SWIFT, RASCAL FLATTS), CHARLIE HOSKYNS (THE POPES), PAUL MCGUINNESS (THE POGUES), WILL MORRISON (MODERN ENGLISH), CHUCK LEAVELL, RANDALL BRAMBLETT (TRAFFIC, GREG ALLMAN), HUGHIE THOMASSON (FROM LYNYRD SKYNARD AND THE OUTLAWS), JIMMY HERRING (FROM THE AQUARIUM RESCUE UNIT, FROG WING, THE ALLMAN BROTHERS BAND, AND THE OTHERS/GRATEFUL DEAD), MIKE MILLS from R.E.M and many, many others. In short, Joey is a young man with an enormous talent, clear vision, and a tireless work ethic, who is well respected by his peers, fans, and more than a few legends. 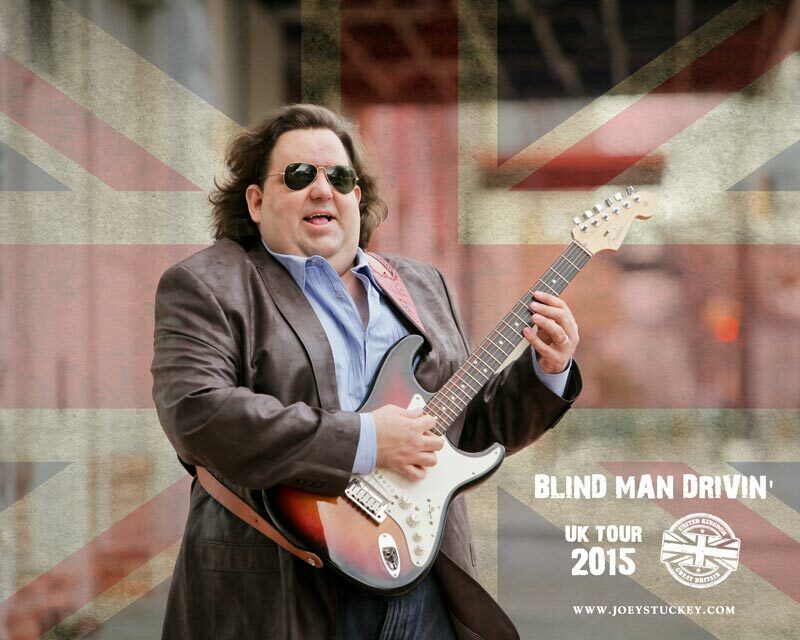 Joey released his new single, 'Blind Man Drivin' in London, England on March 12, 2015 during his Spring tour. 2004 Reader's Choice Award for Singer/Songwriter, "11th Hour Magazine"